Why Did I Listen To The Golem And The Jinni? 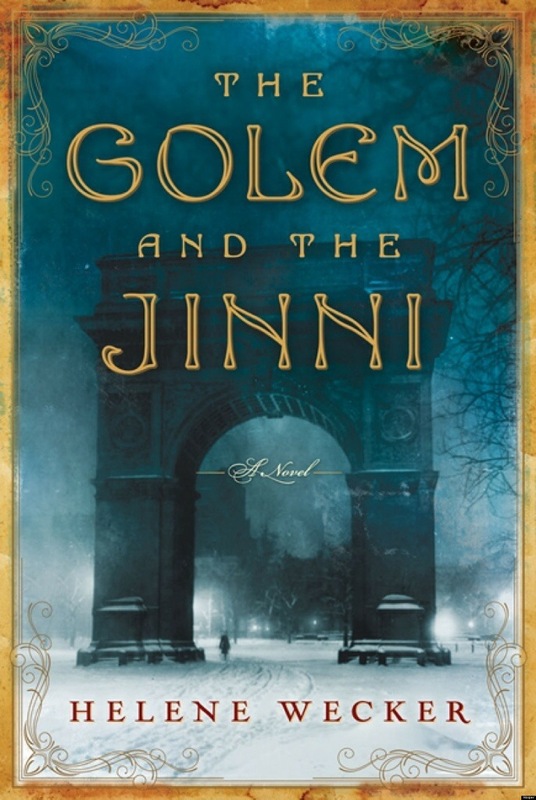 The Golem And The Jinni by Helene Wecker is a book that I’ve kind of been in the middle of reading for a wicked long time. I mean, since it came out I’ve started it and just had it on pause. Then one day I was looking at the obnoxious number of books on my currently reading shelf and rather than DNF or give up on this, I decided to download the audiobook via Hoopla. I figured that was one quick way to finally get through the rest of this book and take it off that shelf. The book opens with a man who I imagine is a bit of a neckbeard and fedora wearer commissioning a golem being made to be his wife. The man, Otto Rotfeld and the golem head to New York City. Unfortunately, Rotfeld dies on the ship along the way. At this same time, there’s a tin smith in the Little Syria section of New York City named Arbeely. He unwittingly unleashes the Jinni as he works on a copper flask. The two go about their new lives, things happen. Anyways, they eventually meet and form a friendship and hang out at night. As it turns out, their lives are more similar and intertwined than you would expect. Plus, there’s some danger coming up on the horizon. What Did I Think Of The Golem And The Jinni? So, The Golem And The Jinni absolutely took me FOREVER to finally finish and read. Once I got going with it though, via audio, I did like it. I loved the setting. Also, the characters are really well written and interesting too. The writing is pretty sophisticated which maybe is why it took me so long. I felt like the pacing was a little slow. However, if you’ve read Jonathon Strange And Mr. Norrell, you’ll be aware that the comparison of this book to that one is apt. Both are super slow paced, but good. Helene Wecker’s The Golem And The Jinni is narrated by George Guidall who apparently is sort of a big deal in the audiobook world. This was the first time I’ve actually listened to a book narrated by him, despite owning his narration of Les Miserables. Frankly, he has the sort of voice that has gravitas in it. I felt like he was very well suited for this book. He just has that kind of historical fiction voice, I don’t even know how to describe it. The audiobook is a little long at just under 20 hours, however, it was a lot faster for me to finally consume it as an audiobook than to sit down and physically read it.